DelGallo, Brochure/ – Who's Suz? 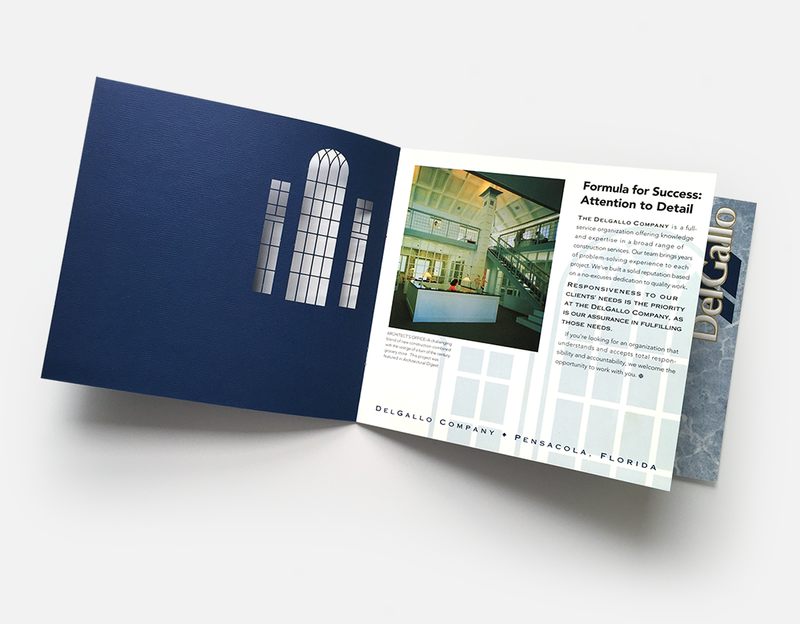 This high-end contractor/construction services outfit wanted a brochure that emphasized their meticulous attention to detail and upscale clientele. I gave them die-cuts, embossing and foil stamping, all on a gorgeous textured cover stock and beautiful paper.